North America (NA) – Antigua and Barbuda, Bahamas, Barbados, Belize, Canada, Costa Rica, Cuba, Dominica, Dominican Republic, El Salvador, Grenada, Guatemala, Haiti, Honduras, Jamaica, Mexico, Nicaragua, Panamá, Saint Kitts and Nevis, Saint Lucia, Saint Vincent and the Grenadines, Trinidad and Tobago, United States of America, Anguilla, Aruba, Bermuda, Bonaire, British Virgin Islands, Cayman, Islands, Clipperton Island, Curacao, Greenland, Guadeloupe, Martinique, Montserrat, Navassa Island, Puerto Rico, Saba, Saint Barthelemy, Saint Martin, Saint Pierre and Miquelon, Sint Eustatius, Sint Maarten, Turks and Caicos Islands, US Virgin Islands. Auzom Admin - An Auzom staff member indicated by the red "PUBG Admin" role in Auzom's public Discord server. Manager - An individual involved with the administration of a team of players competing in an Auzom tournament. Player - An individual who is registered on a roster for a team and competes in an Auzom tournament. Substitute - An individual who replaces another player who is unavailable to participate. A player is deemed to be a substitute if they have less than 60% playtime over the course of an event. Coach - An individual involved with the coordination of a team of players competing in an Auzom tournament. Organisation - A group/business responsible for the management of a team. Round - An individual game. Round points - The point system used in a round. Round score - The points earned by a team in a round. Match - A match consists of one or more rounds (typically 4). Match score - The total points earned for all the rounds played within a match. Tournament - A tournament consists of a number of matches, and follows the tournament format set by Auzom. Auzom PUBG tournaments are only open to PC users. Each player must have a public Steam account with no active bans for any game. If asked by an admin, a player must change his profile on Steam from private to public. If a player wants to participate and does have an active ban, they must advise an Auzom Admin. For more information please refer to the "Previous Bans" section. Players are required to play on the PUBG account that has the same in-game name that was provided at registration to be eligible to compete. This must be the same account that is linked to the SteamID:64 that was entered at registration. If a player needs to use an alternate account, please contact an Auzom Admin. We wish to ensure that all participants within the Auzom events act and respond to user and staff content in a constructive and responsible manner. Auzom and its partners also have many public access areas such as its public Discord channel, stream channels and its chat rooms that are provided for your enjoyment. People that are deemed to be breaching the rules while using these services will be removed for a time period at the sole discretion of the admin team. The official language for the Auzom network is English. This will be the only language used for communication between teams. We highly encourage any participants to provide feedback in the pubg-feedback and pubg-team-leaders channels on Discord or through any other channels. Please provide as much detail in the feedback as possible. The more constructive feedback we receive the better we can adjust and improve our events. Auzom PUBG events are part of a competitive esports community and as such all members joining this system are to exhibit good sportsmanship and maintain respect for one another. No team or member of a team has the right to degrade or talk down to another player or team based on their ability or skill level. Breaches of these rules, even outside of Auzom's network, can come with penalties/disciplinary measures, as all members of the PLAYERUNKNOWN'S BATTLEGROUNDS community are welcomed and encouraged to compete at whatever level they can achieve, and we expect all members to encourage and support others in achieving the highest standard of competitiveness possible. In addition to this, Auzom will not stand for public witch-hunting. In cases of suspicious activity please contact an admin via direct message. Accusations in public channels will be deleted. We value the competitive integrity of our events greatly, and will review all evidence communicated to the admin team to ensure fair play. Action will be taken if deemed necessary by the admin team. The above conditions are by no means exhaustive and the Auzom staff team reserves the right to redact any nicknames or aliases where it is believed to be necessary. Alternative spellings and or replacement characters being used in an attempt to bypass these restrictions are not permitted. Auzom reserves the exclusive right to the spectator coverage of all its PUBG events, on the official channels for Twitch, auzom_gg and auzom_pubg. However, we would like to also encourage streams from personal perspectives of participating individuals. The official Auzom stream will run on an eight minute delay. Title of broadcast to include “Auzom”, the tournament name and PUBG at the beginning of the title. Examples include: "APL PUBG", "AOS PUBG", "AUZOM NATIONS CUP PUBG"
A bot command - !auzom "Learn more about Auzom here: https://pubg.auzom.gg/ | Main event stream: www.twitch.tv/auzom_gg". We would appreciate your support of Auzom's event organisation and encourage all players to stream their perspectives. If you’re interested in casting Auzom events, please send us your details, motivation and experience by messaging an Auzom Admin on our Discord. As we have a number of events we are continuously looking to expand our talent pool in all regions. 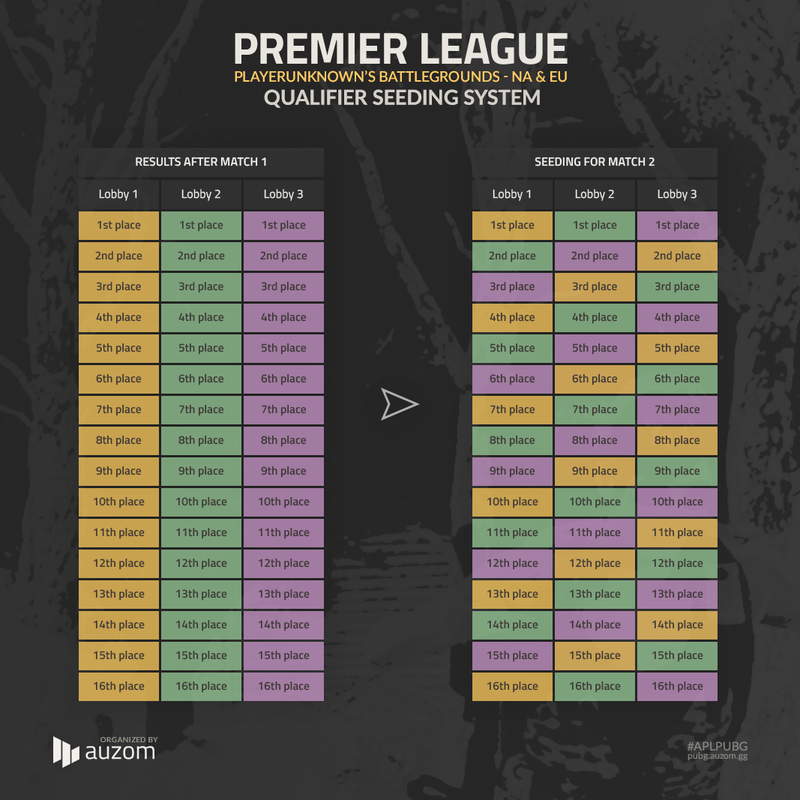 The Auzom Premier League (APL) Qualifiers for Season 3 is a 2 stage tournament with four to six player per team. For the Qualifiers, each match day will consist of five rounds. Team leaders are expected to be present for check-in, which takes place 30 mins before the match goes live. Check-in information is outlined in the Check-In Procedure section below. The Qualifiers will have 2 stages. Stage 1, Open Qualifiers will have open signups on a first come first serve basis. All lobbies will contain 16 teams with a maximum of 6 lobbies running in EU and 3 lobbies in NA. Day 1 Lobbies will be seeded randomly, on day 2 lobbies will be seeded as shown on the image below. All round scores will be aggregated on a Global Leaderboard, of which the top 26 teams will qualify to the Closed Qualifiers. Aside from the qualified teams, 8 teams will be invited to stage 2. On day 1 lobbies will be seeded alternating based on the stage 1 Global Leaderboard, with the invited teams seeded randomly. On day 2 the lobbies will be seeded in the same manner as stage 1 day 2. All rounds scores will once again be put on a Global Leaderboard, of which the top top 10 teams will qualify to play in the Auzom Premier League Season 3. Signups will be run on a "first come, first served" basis. Region Restrictions: A team must always have at least two players playing from within the region in any given round. If a team plays a round with more than 2 players from outside the region, the scores of that round will not be counted towards the final score of the team. Maximum active roster size: A team may not have more than 6 players on their active roster. Player history: Teams may have a player history of 6. Roster changes: The only changes allowed to your roster are roster additions. The removal of players from your roster once it is submitted is not allowed. Roster changes need to be done at least 2 hours prior to a match. A player may only be registered to one team at a time for the duration of the Tournament. Note: Please nominate a Team Leader to help us organise and confirm team line-ups and attendance. This person will be the main point of contact for all Auzom related enquiries regarding the team. Please indicate a slot owner for your team, see "League Slot Ownership". Slot ownership is expected to be agreed upon internally with your team and/or organisation. Teams must always have a slot owner. If a team fails to submit an agreed slot owner they will not be permitted to compete in any Auzom event. The slot owner must be decided upon registration of a new team or by requesting an update by contacting an Auzom admin. The initial slot owner is expected to be agreed upon internally with your team and/or organisation. If a team qualifies for future competition based on their performance in the immediately prior season or qualifying event the slot will be retained by the agreed slot owner. Restrictions apply for eligibility of the slot owner to compete in future events. Please consult additional rules below. Team disbanding: The slot will be retained by the agreed slot owner. (Additional eligibility to compete rules may apply). Organisation change: The slot will be retained by the agreed slot owner. If the slot owner is the team’s previous organisation it may provide its consent for the transfer of slot ownership to the new organisation or team’s captain. Slot ownership can not be given away outside of the team. Slot ownership can not be sold. If an organisation picks up a team during an ongoing event, the slot ownership can not be transferred to the new organisation and needs to remain with the active players in the team. Once the event has ended a team may request a slot ownership change. (This has no impact on team name changes). If a slot owner doesn’t respond in time Auzom staff may revoke ownership and re-assign the slot or transfer it to the teams members. A substitute can not be the slot owner. For the purposes of roster continuity, each team must retain at least two registered players from the prior season or qualifying event regardless of whether the slot is owned by an individual player or organisation. If a team does not maintain a minimum of two registered players from the previous season it will forfeit its league slot. Any change more drastic than that will be handled on a case-by-case basis. Auzom reserves the right to revoke or transfer a Team Slot Ownership of a user if a review provides cause for it. Team leaders must be present in the Auzom Discord so that they will be able to receive the appropriate Discord role for the tournament. This role allows the team leader to have access to all tournament specific channels. An Auzom PUBG admin will post in the channel dedicated to the game lobby when check-in starts and what channel to join. Team leader must join the check-in channel 30 minutes before the advertised start time for the match. Admin will start doing a roll call to finalize the check-in. If a team leader is not present and/or has not completed check-in within 10 minutes after the check-in has started, their team's spot may be forfeited. Additionally, the team might receive a No Show strike. Teams have the option of using dedicated Auzom voice channels, but this is not required. If you wish to have a channel created for you, please contact an Auzom Admin. If a team does not use a dedicated Auzom voice channel for communication, the team leader must monitor the tournament specific Discord channels to allow swift communication of admin decisions. All required information pertaining to joining the game and the slot each team is assigned will be posted by an Auzom PUBG Admin in the text channel dedicated to each game lobby. The information must be handled discreetly. Sharing the information with non-participants is strictly prohibited. 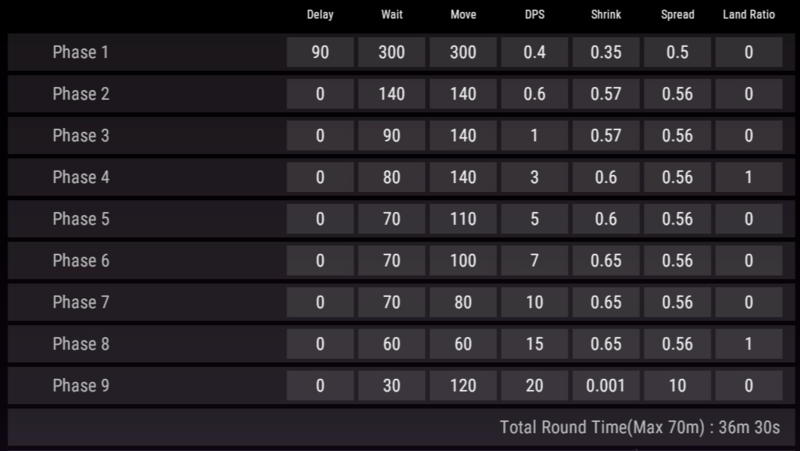 Subsequent rounds: 8 minutes after the lobby information was posted in the dedicated channel. Teams are responsible for making sure their players are in the game lobby and in the correct slot on time. The admin will not wait for teams or players. Time limits above may be extended by the admin if they require the extra time to resolve any issues in the administration or production side of the events. No pauses are allowed during a round. The rounds during a match will be played back to back and the teams have to join the new round lobby as soon as possible. A team must play with at least 3 players in any given match. If less than 3 players join the lobby in time, the remaining players will be kicked and will have to sit out that round. The team can join the next round with 3 players or more. In the event of a disconnect, the team will continue to play out the match. The disconnected player may rejoin the match that the disconnect occurred in. If disconnections impact multiple players across multiple teams, a restart may occur, at the discretion of the Auzom team. The Auzom team may order a round to be restarted due to exceptional circumstances, such as if a bug significantly affects multiple players’ ability to play or if wrong settings have been implemented. 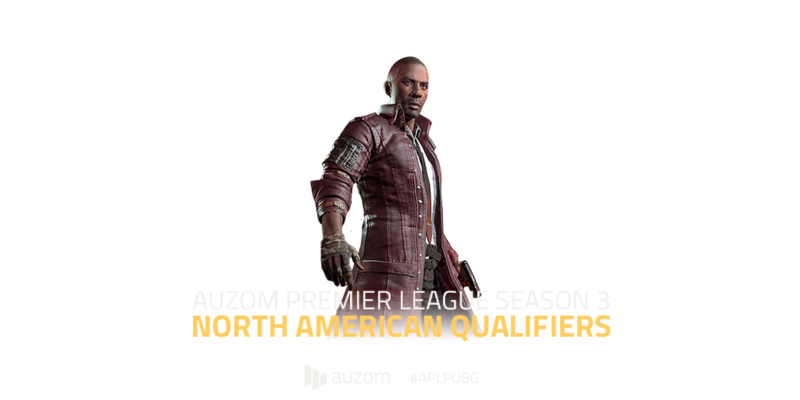 The top 10 teams will receive an Auzom Premier League slot to compete in the upcoming Season amongst the best of the best PUBG teams. Auzom requires all Players to retain local copies of all round replays for the duration of two weeks following the match. Copies of these replays may be requested at Auzom's discretion. Failure to do so may result in suspension from future Auzom events. Replay requests will be done each week, where randomly selected players will be asked to send their replays. Any player that fails to provide replays in under a week will be suspended from playing in Auzom events. The admin team will use the following system as a basis to penalise or sanction players/teams for breaking rules or for unwanted behaviour. The admin team will handle each case individually and may deviate from the system at their sole discretion. All offenses and their penalties are under review, more offenses may be added in the future and penalties may change. Any offense reported or observed that falls outside of the current ones described will be reviewed and penalised on a case-by-case basis if necessary. Cheating Team/Player disqualification & 2-year ban on player in question. Inappropriate/offensive behaviour Muted/Banned from official Auzom Discord Server. Length of time will be determined by Auzom Staff. All forms of cheating are unacceptable and players will be penalised by the Auzom team. Additionally, any use of glitches in the game is strictly prohibited. Players and teams caught cheating and/or use glitches to their advantage will face penalties on a case-by-case basis. If a player has a ban in any game that is less than 1 year old for cheating on either their main or alternate account the player is not allowed to compete in our events. If a player has a ban in any game that is more than 1 year old for cheating on either their main or alternate account the player may apply for permission to play. Depending on the date of the ban and where you are banned from there may be terms that must be agreed to in order for the player to compete, for example recording matches. If a player does not get permission before playing, it is considered as using a banned player. The decision as to whether a player will be allowed to play or not is at the sole discretion of the admin team. If a player has a (game)ban that is more than 2 years old it will not be taken into consideration and permission is not required. The Auzom admin team reserves the right to override any rules stated above if a situation requires it. This rule will only be exercised in extreme situations where the standard ruling is not deemed either sufficient and/or fair. What is considered an "extreme situation" is at the sole discretion of the admin team.